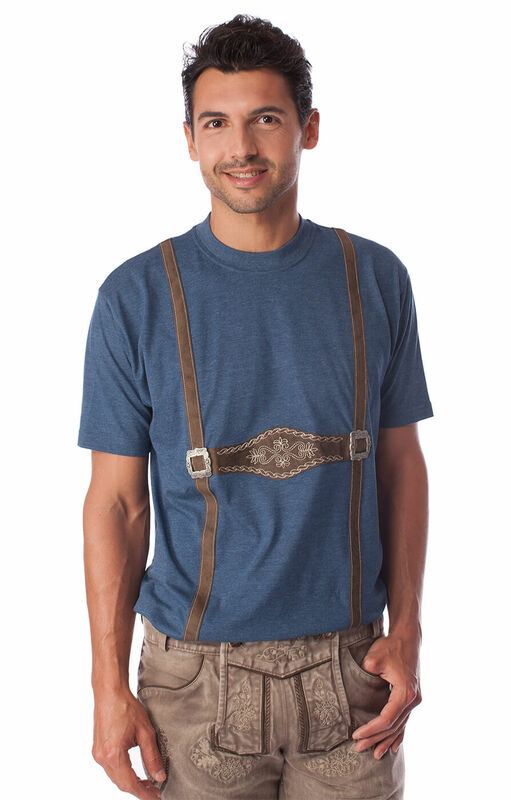 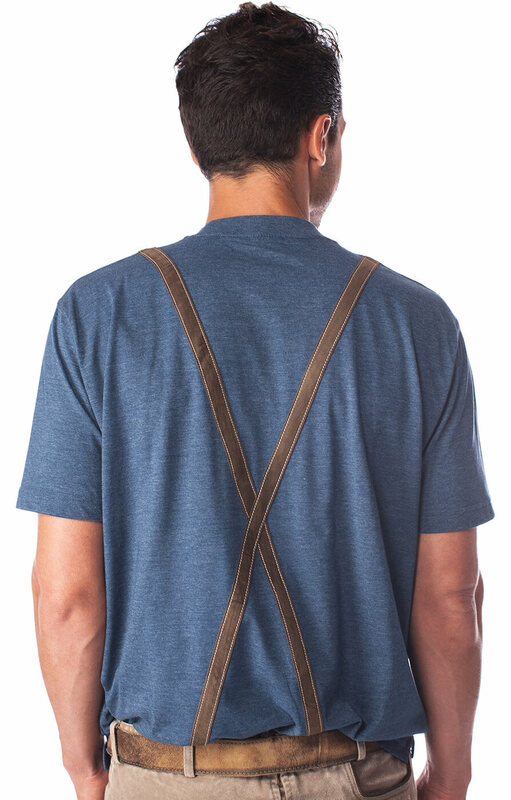 Quirky Lederhosen T-shirt in blue. 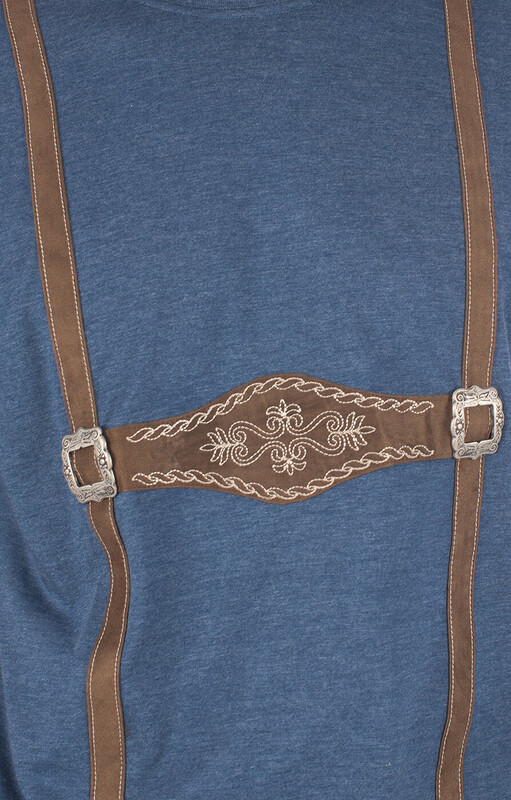 This whimsical traditional German T-shirt in blue brings you Trachten fashion with a twist. 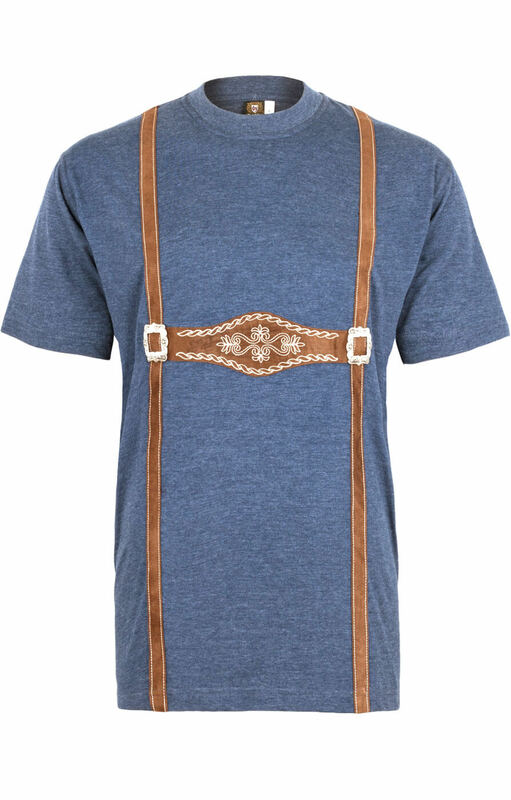 It features sewn-on mock Lederhosen suspender straps with genuine silver buckles and ornate mock H-bar overlay stitched in white. 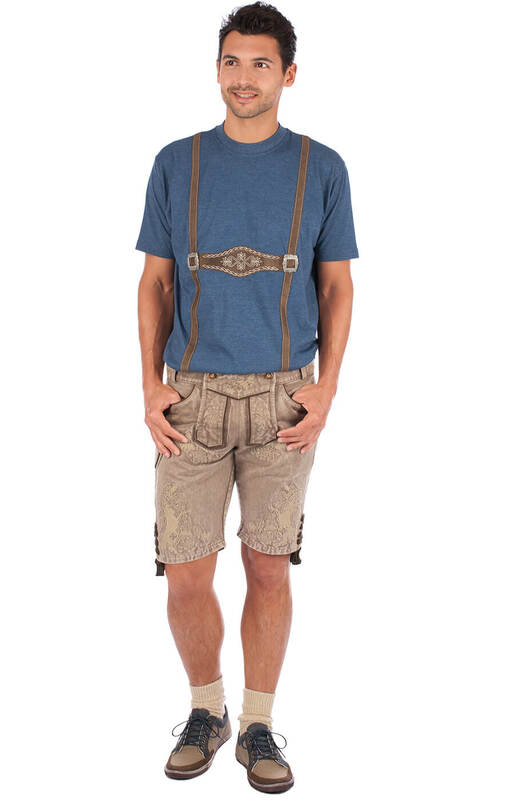 It’s bound to complement your Trachten shorts at Oktoberfest, while also making it a more comfortable and enjoyable time without cumbersome straps. 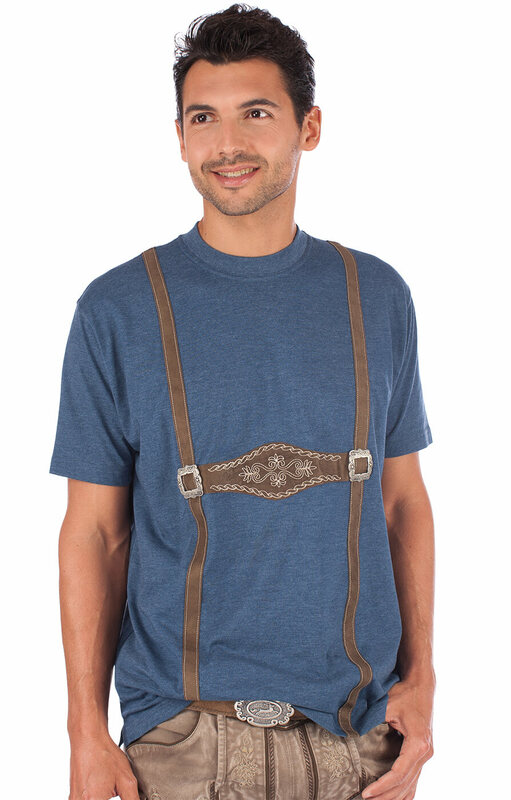 Gute Qualität sowohl des Stoffes als auch der Verarbeitung.